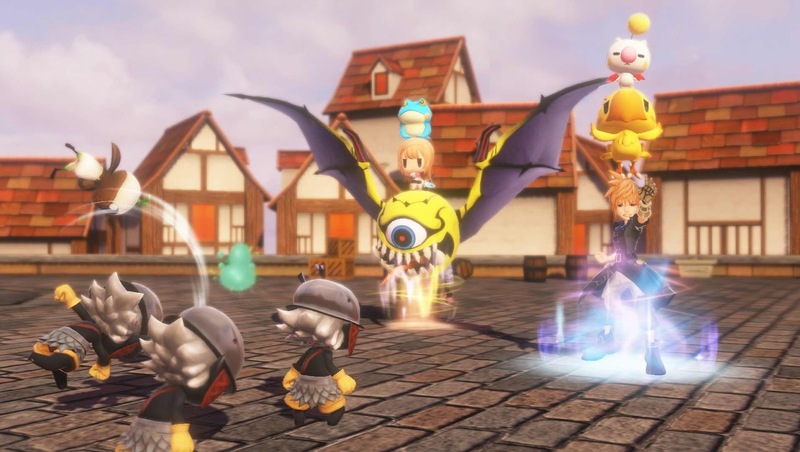 World of Final Fantasy features an interesting new concept for Final Fantasy games in the form of monster capture. While World of Final Fantasy’s gameplay is closer to more traditional Final Fantasy games, Imprisming monsters (known in World of Final Fantasy as Mirages) and using them in battle by making a stack is a very new mechanic to the Final Fantasy world. 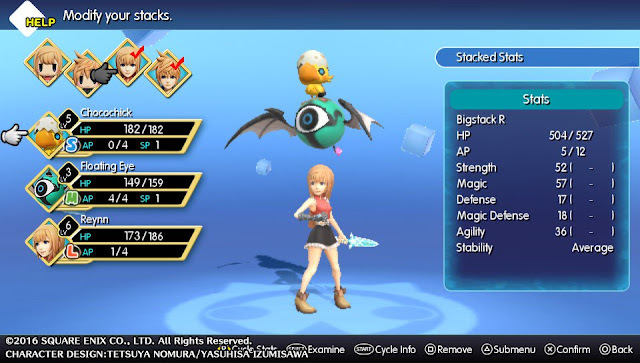 The best part of this is the Monster Stacking isn’t just visual: monsters are helpful in many ways in World of Final Fantasy and collecting a variety monsters and abilities makes the monster hunt a highly useful new mechanic. Being able to use both friendly and enemy monsters in battles serves as a fun new concept for past Final Fantasy fans and a great way to introduce the famous Behemoths, Tonberries and Moogles to those new to Final Fantasy. Monster Capture may be a new concept to Final Fantasy, but the series isn’t a total stranger to having monsters in your party. After all, most Final Fantasy games include a Summom mechanic that involves summoning powerful but friendly creatures that are fairly well-known in the Final Fantasy community, such as Ifrit, Shiva and Bahamut. These monsters are pretty awesome, but there are many other famous monster friends and foes on the other side of the battlefield that have only served the purpose of getting beaten up so far. 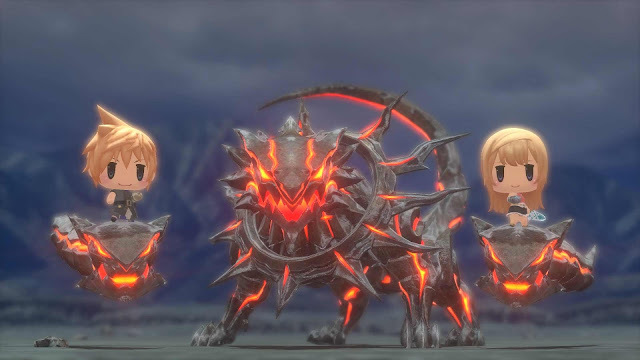 Whether you want to summon the epic Ifrit, an adorable and friendly Moogle or a big, enemy Behemoth in your party, all of these Final Fantasy creatures are available to be used in battle in World of Final Fantasy. Having these different types of creatures usable together is an interesting take of Final Fantasy’s creatures and although putting a Chocobo and a Behemoth in the same stack may seem strange, it’s a cool new way to use some of my favourite Final Fantasy creatures. If collecting Mirages wasn’t cool enough, putting them in Stacks is even better. 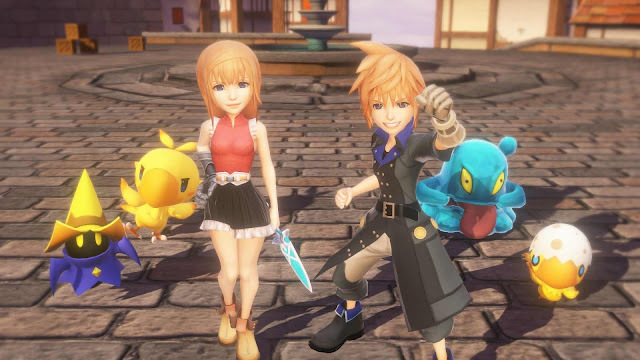 The main characters of World of Final Fantasy, the hilarious Lann and the cool older sister Reynn, are divided into a Left and Right stack in battle and each stack is comprised of a Small, Medium and Large Mirage that literally stack on top of each other to combine stats. Aside from combining stats (and looking hilarious), mirage stacking also ‘stacks’ skills. If all your mirages have Fire, they will combine to make the much more powerful Firaga. Lann and Reynn also gain a very AP cheap skill called ‘Channel Element’ with whatever element the stack is overall that makes hitting an enemy’s weakness very easy. A great part about this is also that a Mirage’s size doesn't matter when it comes to skill stacking; tiny Flan’s skill or a giant Behemoth’s stats have an equal increase, making both just as useful as one another for once. Speaking of skills, Mirages are useful on and off the battlefield thanks to their skills. In World of Final Fantasy, certain areas are blocked off due to gaps, icy peaks or big rocks and are only accessible by using a Mirage with the right skill to get past, comparably to in Pokemon where you need a character with a certain skill to another area. I've used my Black Nakk many times to burn down big vines down to get treasure and I've used my Mythril Giant to knock down big rocks that block paths. 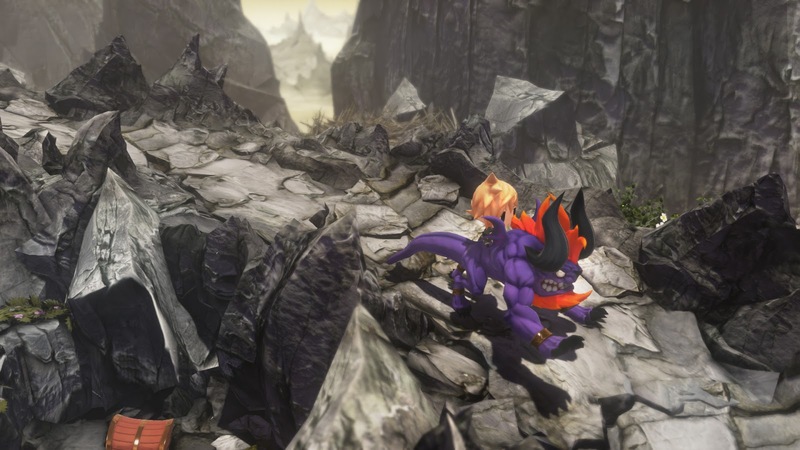 I like how these path-blockers encourage me to carry a variety of Mirages to help me find bonus items to help me on my journey and it feels like a great reward when I've unlocked the right skill to help me find treasure or something cool. Mirages can also be transfigured into bigger or alternative mirage forms by unlocking nodes on World of Final Fantasy's skill tree system called a Mirage Board. If you've enjoyed the evolution aspect of other monster collection games such as Digimon Story: Cyber Sleuth (which I loved), the Transfiguration aspect is probably something you'll like. Since I also love skill trees, I have a lot of fun using my SP points on each monster’s Mirage Board to unlock bigger versions of my Mirages, such as making my way through the S-sized Chocochick’s Mirage Board to unlock an M-sized Chocobo. The best part is that unlocking a Mirage Board keeps the smaller Mirage’s Board too, meaning you have two sets of skills to play with to make a really strong Mirage. Stacking monsters together may look silly, but all the different things that can be done with Mirages are really fun to play with and make an enjoyably complex battle system. Use of abilities on the field and stat stacking in battle are cool ideas that give a use to all Mirages and gives monster collecting real purpose. Although stacking will be new to Final Fantasy players, as a Final Fantasy fan I think it’s a great way to refresh the familiar battle system and is a nice way to add depth while making it accessible to those who have used monster hunting systems in other games. I'm looking forward to finding even bigger Mirages throughout my World of Final Fantasy journey and so far definitely recommend it to anyone who thinks it sounds interesting! You can pick up World of Final Fantasy for PS4 and PS Vita, and a cool limited edition World of Final Fantasy PS Vita at Play-Asia.com! What's your favourite Final Fantasy Mirage or Monster? If you could use any Final Fantasy creature to get around, which would you use?